The shroud of fog lifted quickly as we moved through the uniform second growth along a long abandoned roadbed towards the Duckabush River. After about a mile, the old growth started to take over… the grand old trees of the Northwest, 15 feet across with thick with slabs of bark extending endlessly above us. 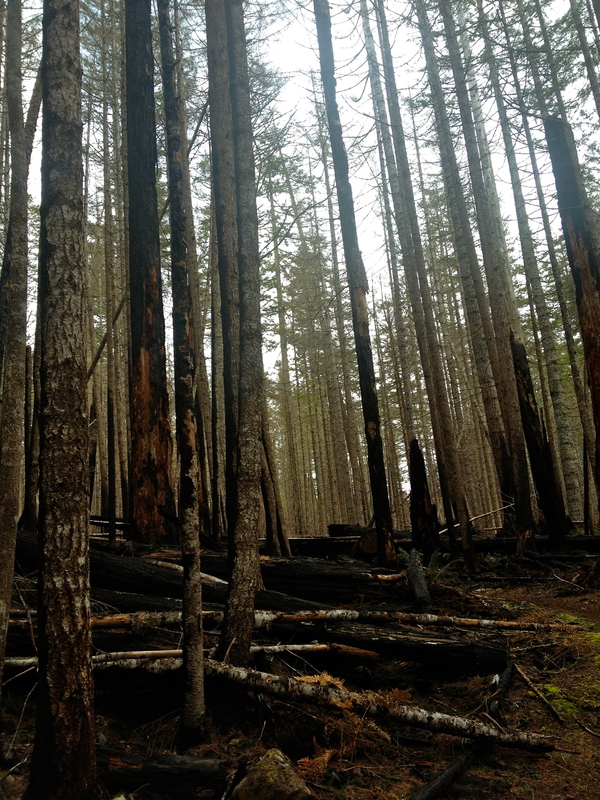 As we entered the Brothers Wilderness area we started seeing the remnants of a large burn – left from an accidental fire in 1985 that burned close to 1000 acres of old growth. The forest is regenerating, but there are plenty of old giants bearing battle scars. We continued over the Hump, a 1000 foot climb in under a mile, and descended another 600 feet to meet the churning Duckabush at a well defined campsite nestled between old growth firs next to spitting rapids – this was our turnaround point at 5.2 miles, though the trail itself continues 20 miles into the 16,682 acre wilderness area. This entry was posted in hiking and tagged dayhike, northwest, northwestschoolofmysticalhikers, nw, olympics, SongsoutoftheCity on January 17, 2014 by GROUCHO. 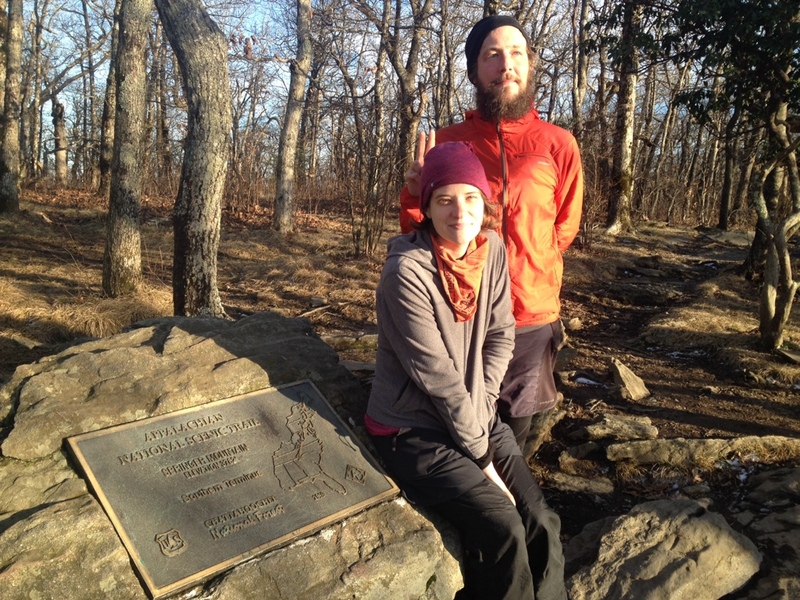 City Arts Magazine asked us to contribute a piece for their January edition, reflecting on our Appalachian Trail journey. Copies of the free publication just hit the streets of Seattle, or you can read it online. Thanks to Editor in Chief, Leah Baltus, for the opportunity. This entry was posted in Appalachian Trail, hiking, travel and tagged AppalachianTrail, AT, cityarts, thruhike on January 2, 2014 by Harpo. 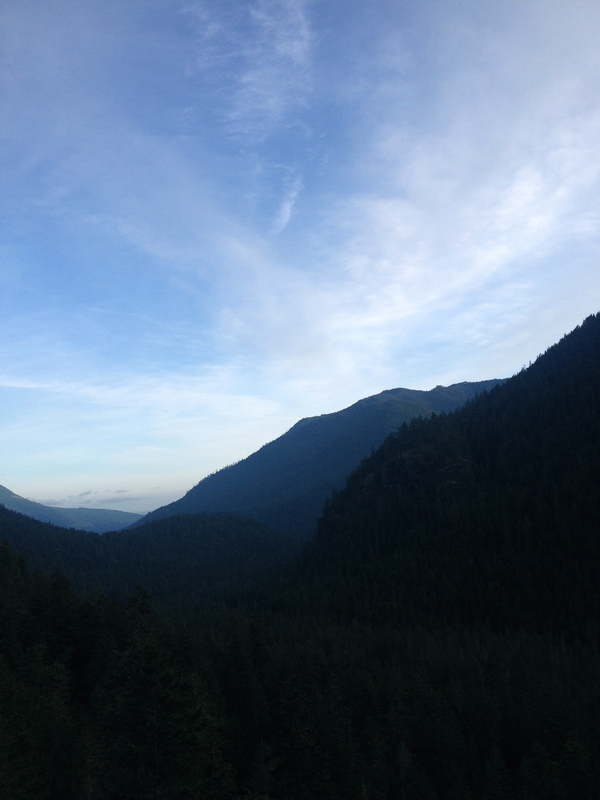 Golly, it’s great to be back in the Northwest. We’ve finally returned to familiar and foreboding forests — dense, misty and lush. 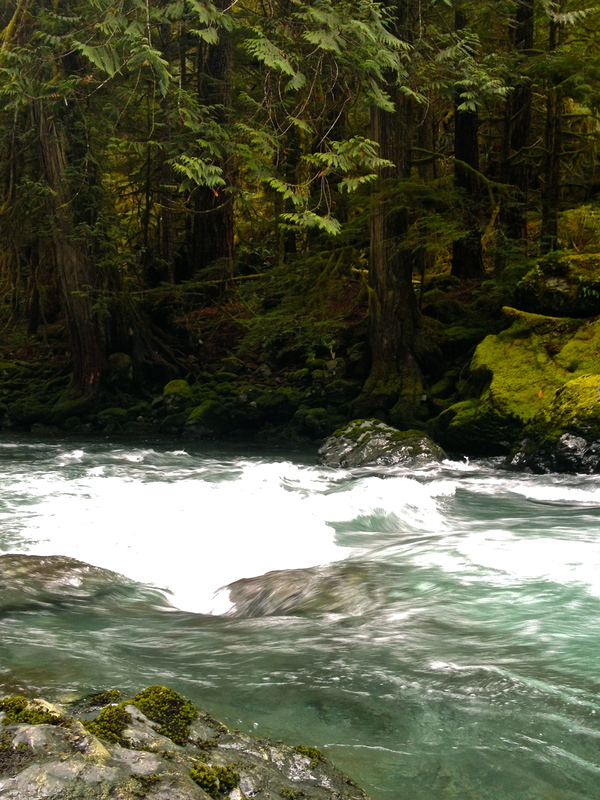 Prolific waters and soft duft under our feet framed by towering trees. 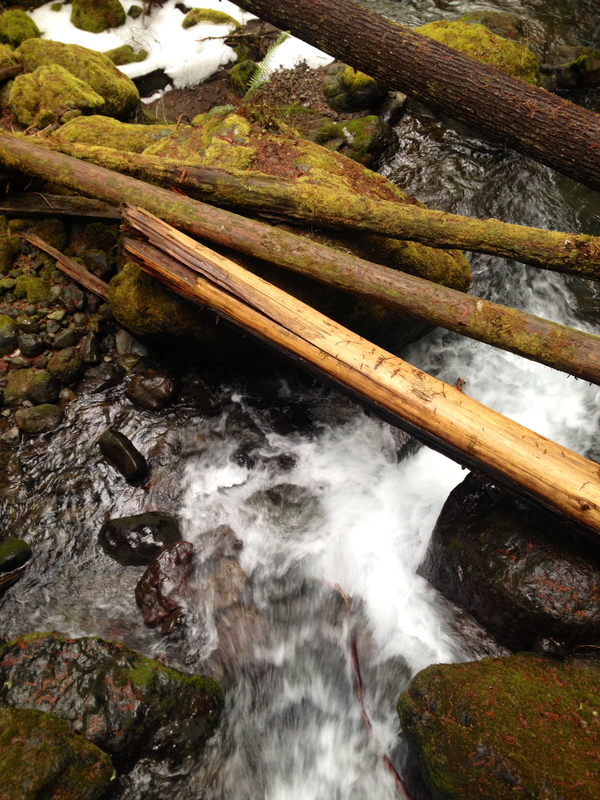 For our New Year’s Day walk, with NKO’s sister Kate and her husband Doug, we traversed about 10 miles along the Lower Big Quilcene River in the Olympics. On the slightly gray but pleasant afternoon, we shared the trail with several courteous mountain bikers but no other hikers. Kate and Doug brought two dogs with us who also loved the hike. There is hardly any elevation gain, making it do-able for multiple levels. The walk is also scalable, there are many serene and picturesque campsites lining the trail so plenty of convenient break spots, or places to turn around. We opted to hike 4.7 miles and then turn around at Camp Jolley. This area would also make for a wonderful, less-rigorous, backpacking trip. The first campsite we saw was prettily situated by a brook at 2.5 miles. 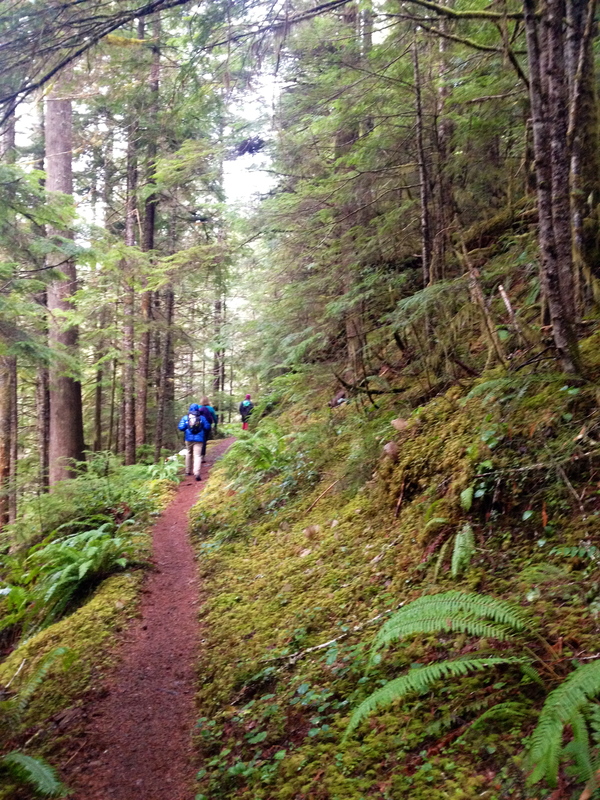 Or you can trek as much as 10 miles to Marmot Pass, which connects to another longer loop with more trails and camp sites. The weather was in the 40’s, and the trail mostly ice/snow free. Only a few small patches here and there. This entry was posted in hiking and tagged northwestschoolofmysticalhikers, SongsoutoftheCity on January 2, 2014 by GROUCHO.